An ethnic Tibetan woman rises after kneeling to pray to holy Meili Snow Mountain. Perhaps it's Hollywood's pro-Tibetan influence or perhaps I'm just partial to Asian women. But when Tibetan women are done up, they're absolutely breathtaking (see previous posts here and here). Add to that, a spiritualism and lifestyle that's unparalleled in most other cultures and we begin to reach defcon 4: obsession phase. Maybe Richard Gere's onto something after all... and I'm not referring to the gerbils. 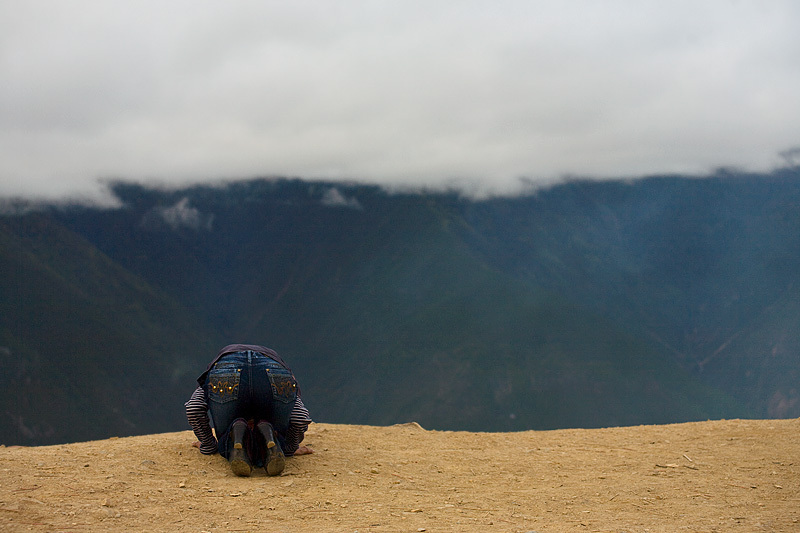 An ethnic Tibetan woman kneels as part of her three times stand-kneel prayer routine. 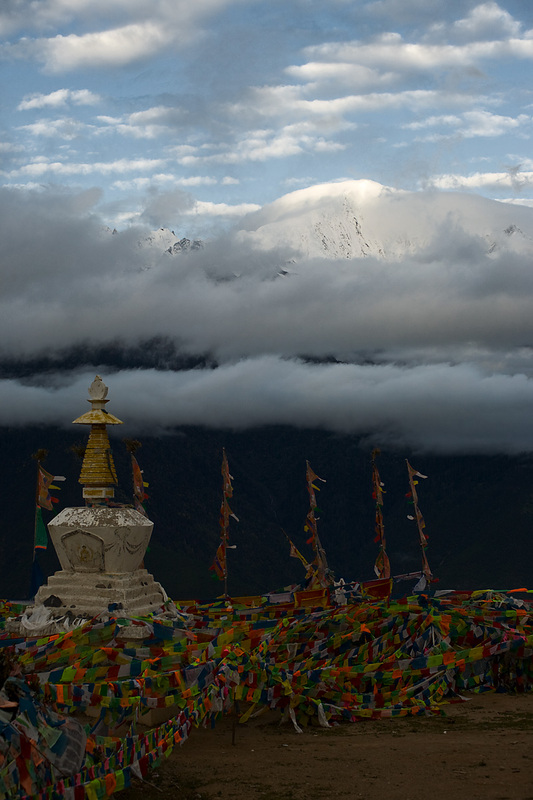 Like clockwork, the Tibetans piously pray to Meili Snow Mountain each morning. For most of my stay in Deqin, the holy mountain was covered by a rolling layer of thick clouds. Snow-capped, Meili Snow Mountain is visible across a deep valley as prayer flags flap around a Buddhist chorten. The last day of my three day stay in Deqin, the holy mountain decided to peak itself out of the clouds. Though I wouldn't know it until later, seeing the mountain may have been an auspicious sign for my illegal week-long journey through Tibet (without a permit) that began after I left Deqin.